Landlords, Will Your Property be un-rentable next year? | Belvoir! Landlords, Will Your Property be un-rentable next year? As of 1st April 2018 it will be illegal to let a property with an energy efficiency rating of less than E. Initially, the regulations will be for new properties to let and tenancy renewals, but as of 1st April 2020 it will be extended to all tenancies. This doesnt just affect the residential sector, but also commercial buildings, all properties that require an EPC, whether they are houses or self-contained apartments/flats, are subject to the new regulations. There is a lot of fear about the impact this regulation change will have on an already stretched private rental sector; with approximately 8% of properties in the sector being affected unless improvements are made, we would be facing critical levels of available properties to let. Demand for rental properties rose to 5.4 million in 2014 according to the Royal Institution of Chartered Surveyors (RICS), and they predict that this will increase by an additional 1.8 million by 2025. The position of listed properties and dwellings situated within conservation areas is unclear as yet, whereas buildings that have special architectural historical merit have been excluded. However, the regulations do state that an EPC may not be required “where compliance with certain minimum energy efficiency requirements would unacceptably alter their character or appearance.ther exceptions include places or worship, industrial sites, and also any building where the landlord can prove it is being used as a furnished holiday accommodation that meets the definition given by HMRC. We would recommend that when it comes to improving the energy efficiency of your properties, you "future proof" the works. The government is committed to raising the energy standards in the UK, and therefore it is expected that the minimum energy efficiency rating could be raised again in the future. If you can provide evidence of one of the following mitigating circumstances, you may be eligible for an exception to the minimum standards of improvements. It must be noted that this exception is made to you personally, and therefore will not be transferred to the new owner should you sell the property or transfer ownership. Should you legally require third party consent to undertake improvements to meet the minimum standard, and this was denied or unreasonable conditions set, then you may be exempt.You require consent and the occupying tenant will not give it.There may be a case for exemption where the improvements needed could reduce the market value of the property. In this case, evidence must be supplied in the form of an independent survey from a surveyor who is on the Royal Institution of Chartered Surveyors (RICS) register of valuers.The government recognise that, should you suddenly become a landlord, it would be unreasonable for you to need to comply with these regulations immediately, therefore you may be eligible for temporary exemption.A qualified professional provides a written report stating that installing wall insulation could not improve the energy efficiency rating above E, and would have a negative impact on the property, fabric, or structure.All improvements have been made to meet the minimum energy efficiency as recommended in an EPC, surveyor, or Green Deal report, yet the property rating remains below an E.The improvements require Green Deal finance as they are only cost-effective with upfront costs, yet you have failed the relevant credit checks. Where you consider yourself to meet any of the above conditions of exception, you will need to provide details and evidence to the PRS Exemptions Register, which is a centralised self-certification register operated by the government, and planned to be open by 1st October 2017. Please note, exemptions have a maximum lifespan of 5 years, and will need to be reviewed to ensure that they are still appropriate. Although, if you a new landlord you only have a 6-month period to make the necessary improvements. Should your exemption be due to tenant consent the exemption is only valid until the end of the tenancy, or for 5 years, whichever is soonest. If it is suspected that you are in breach of the minimum standard of energy efficiency, you may be issued a compliance notice, or be given a financial penalty. This can range from the minimum penalty of £5,000, for less then 3 months breach of regulations, to £150,000 for renting out a non-compliant property with a regulation breach for more than 3 months. 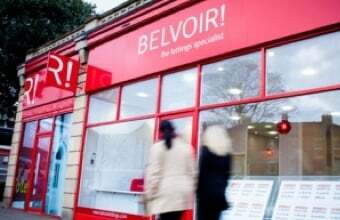 For more information please contact our Belvoir Crewe & Nantwich office on 01270 756 341.